When it comes to the warmer seasons, spending time outdoors, throwing barbecues, or going on camping trips are our favorite pastimes. However, the fun can be easily ruined by those pesky little mosquitoes that bite and bite, and make you itch and itch. 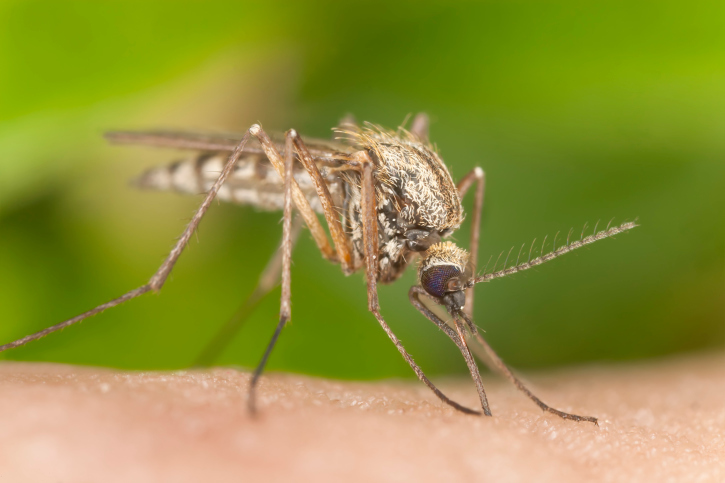 Unfortunately, the itchiness isn’t the only effect a mosquito bite can have on your body—adding to the West Nile virus, there is now a second virus, spread by mosquitoes, that is cause for concern. Chikungunya, a mosquito-borne virus that is native to Central Africa, has been springing up in the U.S. recently as locally acquired cases have been confirmed. There is also currently an outbreak of the virus in the Caribbean, and there is concern among virologists that locally acquired cases could turn up in Europe as well. The virus causes a rash, fever, and joint pain. While it is rarely fatal, 26 people have died since the outbreak began and victims often face a lengthy road to recovery. There are currently 234 confirmed cases that were “imported” into the U.S. and it is thought that anyone who has visited the Caribbean and Central Africa is at risk of spreading the virus. Two mosquito species are thought to be responsible for spreading this virus; one of these two species can be found in 14 states, while the other species is found in 32 states. It should be noted that doctors think that the number of cases may actually be higher because of misdiagnoses and missed symptoms. Of even more concern is that at least two cases in Florida are thought to have been acquired locally, instead of abroad. The state is home to one of the species of mosquito that is a carrier for the virus. Europe has also seen an increase in imported cases, with 475 this year; 126 cases were in regions that had mosquitoes. There is no cure for Chikungunya. Although a vaccine is being developed, it is currently in the early stages and is not expected to be available anytime soon. Use screens to keep mosquitoes out of your home, tents, or other shelters. Run the air conditioning in your home if you have it so that you won’t have to leave any windows open. Be sure to empty any standing water around or near your home, as this can provide a breeding ground for mosquitoes. If it isn’t too hot, wear long-sleeved tops and pants. If it’s hot and you’re wearing a short-sleeved shirt and shorts, apply insect repellent to exposed skin, reapplying every couple of hours and after you go swimming or sweat a lot. While insect repellent can be a good line of defense against this virus, you should try to avoid insect repellents made with chemicals, such as DEET. Instead, opt for natural ingredients, such as lemon oil or eucalyptus, and only apply the repellent to exposed skin. If you do catch the virus or suspect you are showing symptoms, see a healthcare professional immediately and avoid going outside, as you could pass the virus onto another mosquito if it bites you, which allows the virus to spread even faster. MacKenzie, D., “Threatwatch: Chikungunya virus hits the US and Europe,” New Scientist web site, July 23, 2014; http://www.newscientist.com/article/dn25937-threatwatch-chikungunya-virus-hits-the-us-and-europe.html;#.U9a8j_ldU4.